Lightweight and won't break easily if knocked over, these brightly coloured aqua elephants will add a touch of charm to any setting. Makes a great housewarming gift and is a must have for anyone that loves the majestic elephant! Can be displayed set apart or grouped together as one piece. 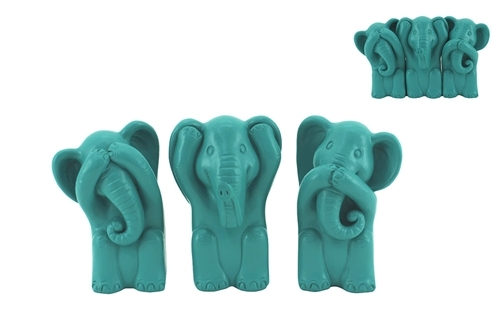 This trio of wise elephants represents the old saying "See no evil, hear no evil, speak no evil".